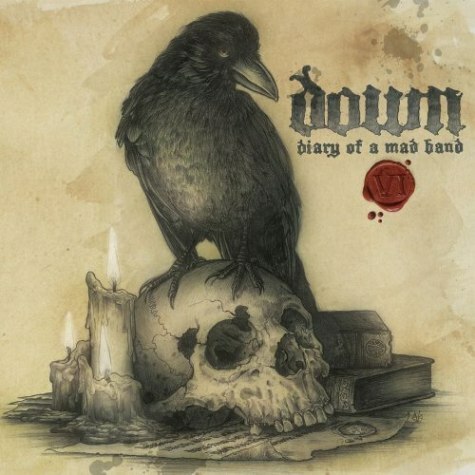 "Diary of a Mad Band" is an audio and visual diary of Down's first ever European tour way back in 2006. That's a little bit before Down III came into the picture, thus pointing out the set's one glaring flaw: no live Mourn, On March the Saints, or Pillamyd. However, any live Down is headbandging, fist-pumping, mosh-worthy Down any day of the week. What you do have on this DVD compilation are a ton of songs off the first two records. On the audio cd side, you'll get the regular anthems like Lifer, Stone the Crow, and Ghosts Along the Mississippi. More awesome than that are some not-played-nearly-enough songs like Jail, Hail the Leaf, and The Seed. Special props to the awesomeness to Hail the Leaf. I may not smoke the sticky icky, but it takes a song this awesome to make me dream about bong hits. The DVD has all these songs in their live settings, along with the additional addition of Something On My Side. In an ode to classic hard rock concert films (especially Led Zeppplin's The Song Remains The Same), the movie's presented in 4:3 standard definition. Sorry, widescreen HDTV owners, you're gonna have to go old school for these stoners. "Diary of a Mad Band" is a great compilation from a band that gives some of the best live shows ever. If you're a Down fan, then you're doing yourself a major disservice by not picking it up right now. Especially while it's still dirt cheap. My copy cost me $11.99 from the local Best Buy, or you can get it shipped from Amazon for almost the same price.